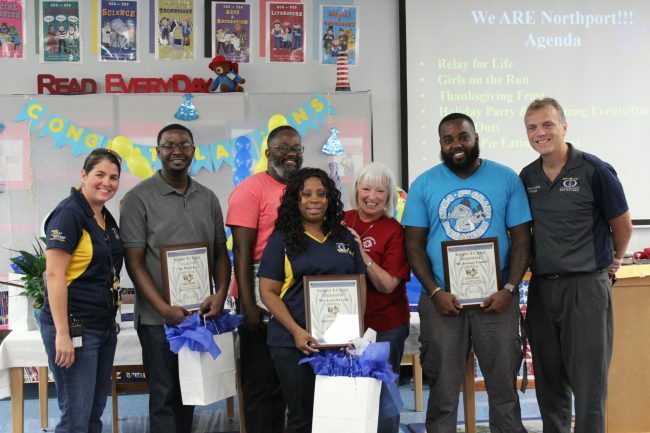 Please help us congratulate Northport School related Staff of the Year, Parris Lee. Congratulate our First Year Teacher of the Year, Michael Spivey and Zachary Francis as our Minority Teacher of the Year. To top off a stellar list, please congratulate Lorrell Ceville as Northport Teacher of the Year for the 2018-2019 school year! Nice work teachers! PreviousPrevious post:Picture Day is Tomorrow!NextNext post:Please Vote!